Fast fashion is here and people have closets bursting with clothes they don’t wear, and often have never worn. One article I read recently talked about stores that make you feel out-of-date with your wardrobe within 2 weeks of purchasing the items. 2 weeks!! How much time do you spend in the closet trying to decide which combination of clothes to wear to the next event? You might try on a shirt, remember it bunches weird in one place and toss it into a pile, digging through to see what else will work. It’s exhausting, isn’t it? 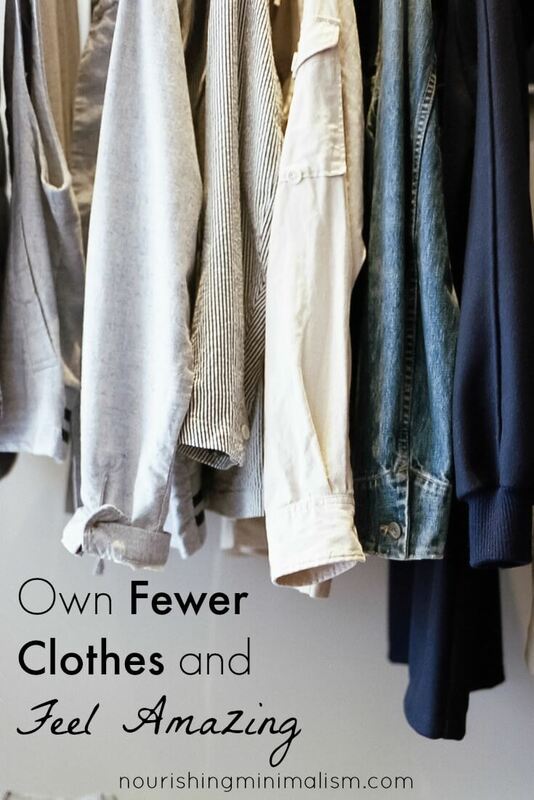 Many people are adopting capsule wardrobes or creating their own uniforms that fit their personality and what they need out of clothes, and it dramatically simplifies their lives. What does a capsule wardrobe look like? This minimalist fashion challenge didn’t just change my closet, it changed my life. Adopt a ten-item wardrobe The benefits of the ten-item wardrobe are vast, one of them being that it makes your home life run more efficiently. Why? Because you are not wasting countless hours choosing what to wear. You are not wasting money on clothes you don’t need and aren’t your true style. You end up choosing to look presentable every day which boosts your energy and productivity, plus so much more. – Watch her inspiring video about it here. If I go for a uniform, will I be bored out of my mind? There are people who have pretty strict rules for themselves about this and have a closet full of the exact same shirt and pants. But picking a uniform doesn’t have to mean that you decide on one color that you will wear for the next 10 years. There are many successful people who have decided to wear the same thing every day, and what I find to be the most interesting is that many fashion designers stick with a basic uniform or color scheme. I have found that I am more pleased with a uniform look. I’m not strict about it, but basically I have nice jeans and a plain fitted blouse. I have different colored blouses, but am fond of black, because I feel confident in it. I used to wear fitted t-shirts or long sleeves, but as my body has changed over the years, I find I feel more confident in a fitted button up and always try to find things that don’t stain and don’t need to be ironed. 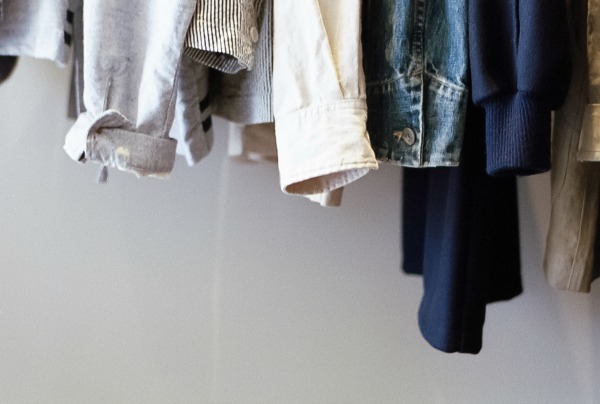 There are capsule wardrobes for children and if your children aren’t opinionated with what they wear, uniform-style clothes work great for them as well. My daughter is the only one of our children (at least before the teen years) that even cares about what she wears. She is so opinionated in fact, that I have entirely given up trying to coordinate her clothing and I consider it a huge success if she is wearing weather-appropriate clothing each day. If she likes a certain style of pants or shirts, I buy more, in different colors. Currently for my children we have 5 outfits in their drawers. Because they are generally blue jeans and shirts, there is no problem mixing and matching. Limiting the children’s clothing helps tame the laundry pile as well. If you are unable to do laundry each day, then having 8 days worth of clothes is a good balance and still keeps order in the dresser drawers. I got so tired of looking & battling my crammed closet & dresser … and only wearing 1/4 of what I owned. I found a style of shirt that I love which flatters me, and I purchased it in a variety of colors and prints. Since it is short sleeved, I can wear it all year round, both with and without a variety of sweaters I also purchased. The sweaters are in varying weights. After those purchases, I did a massive purge of my closet & dresser, keeping the newly-purchased items and about 5% of what I already had. I now have empty dresser drawers for the 1st time in my life — yes, that is plural, as in more than 1 empty drawer! My side of the closet now has space! My husband was so inspired with my results that he, too, did a massive purge and now has empty drawers — yes, more than one — and doesn’t have crammed clothing on his side of the closet. We have been slowly purging other areas in our home as well, which seems to feel so much larger than it once did. Larger, more airy, and like a HOME! We have changed from more-is-better-because-it-gives-us-variety people to less-is-better-because-it-simplifies-our-lives people. I highly suggest it to others! Right on. Culling my wardrobe has further helped reduce my daily anxiety. I only own clothes I actually like and wear. I chucked (donated) my dresser two years ago, as did my wife. Every piece of clothing I own fits in a small closet. It’s amazing the benefits of this simple choice. Its articles like these that actually made me get off my bum and do a purge of not JUST my clothes, but everything else, as well ( except my photography equipment ). I feel like I have so much more space to move around and to store other things, making my life a lot easier. Things are better organized when you have less and you can see what you have. 150% suggest to anyone trying to simplify their life. Even if its just one area of it.